DISCLAIMER: Everything in here is my interpretation of the information I found. If I'm wrong, please correct me. Note the different numbers in the document and photo. Basically every device that includes wireless data transmission technology and that is going to be sold to the public in the US must be approved by the FCC. Now to the meat of the thread. The console itself is called the "Host". The applicant can chose to NOT make certain information public by the FCC which mostly includes photos, manuals and drawings of the device. But those documents have a availability date. 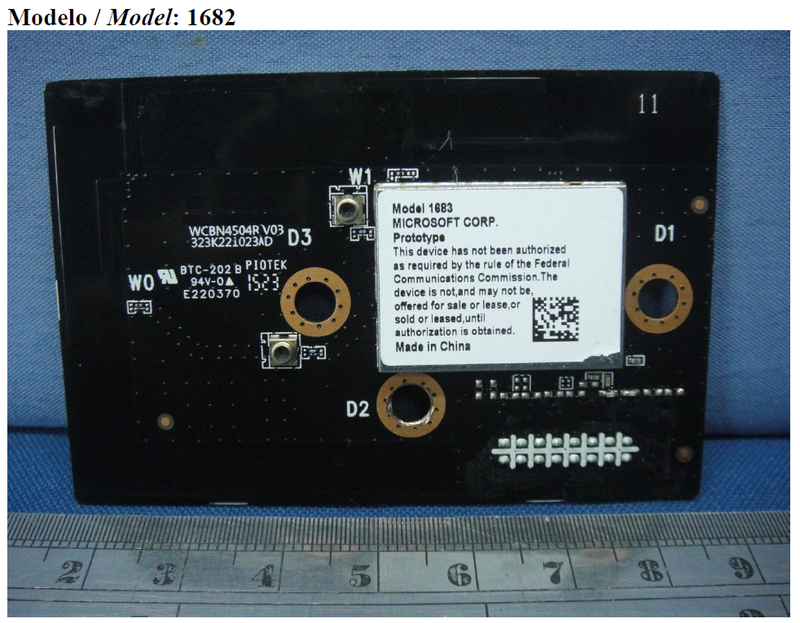 Model 1682 has the same wireless chip tested but the NDA expires late in July 29 and has it's own host manual linked but not the 1525 reference. Also there are quite some more Exhibits available here which makes me think this is the rumored Xbox Next or whatever it is called. Also compare the label placements between OG Xbox One and 2 new filings. I also tried to compare the test reports but a lot of results are missing in the 1682 model results. This VHS recorder could definitely use a redesign. This is interesting. Great find! Could it be a XB1 Slim and perhaps an "XB1 Digital Only" version? It's not that bad. I've seen plenty of much worse looking consoles. Don't know it include UHD bluray or not. Could it just be a slightly updated SKU with an improved wireless chip? What? No wild Xbox1.5 claims yet? Oh wow, very nice find. It's not too bad, but it is huge - could definitely do with a slimming down. Hmm..I could use another Bome. I'm okay with MS and Sony announcing their "upgraded" revisions in June. More the reason for me to sell my consoles and just build a PC. I agree. And an internal PSU would be nice. Like when? In the 90's? It's definitely the ugliest current console. And the functional design (with the separate power brick) is just bizarre compared to the PS4. The Xbox One is an ugly console for sure. I wouldn't mind if it didn't have a power brick but it does. I expect a slim design to be announced at E3 and the new, beefier console next year. This could just be a slim/elite console as we've seen in previous generations. 2 more months for E3. I think it's unprecedented? I'm not sure but E3 is definitely not dying any time soon. Great find. Really hope we see an upgraded Xbox at E3 to launch with Crackdown 3. Maybe they'll even have wireless AC. Hopefully Sony updates their wireless card for the next PS4. I've never had an issue with how the XB1 looks or it's size. It fit's nicely in my entertainment set-up, it matches the rest of my gear, it runs whisper quiet and never gets hot. I suspect that 90% of the people who poke fun at it, don't own one. Do you? I'm actually OK with the size and style of the Xbox one. Its almost the exact same size as my SKY HD box which sits on the shelf below it and together they look neat. Hmm, I recently got a Xbox One Elite but haven't opened it yet. Don't really see any games I'd currently play on it besides Sunset and Rare. I'm wondering if I should return it. Got it because I got it at a good price for $400. Don't start this game with me. I own all the consoles. No, 2006. It's much nicer looking than the PS3 or 360. Just PS4 and Nintendo are better. Xbox One slim with the power supply inside. All matte please. Or there really is an Xbox 10 coming. This is trademarked by 10k, referencing the Xbox one enhanced for 4K media and built on oculus support. Matches the windows version name. Backwards compatible with all Xbox One games. Not a new generation. Just an optional sku to play games at a higher visual fidelity. I kind of wonder if the 1682 listing is a new controller or accessory. True. I love that it's quiet but it's huuuge. Worst kept secret. In a way I'm happy Sony and Microsoft are playing on an even field as the NX though. Nintendo needs the competition. Controllers are tested as they are and thus named "wireless control device" or something like this. And I don't think the controller will use normal wireless lan frequencies. I have both an Xbox and a PS4 and I enjoy them both but I plan on only buying one of the .5 versions if they make them. Whichever company brings me a 4K blu ray player first with some game graphics bumps will get my money first. The result of the external PSU is that it is more quiet than the PS4. I don't agree with the decision, but I can see why they made it. I'm surprised you'd call it "ugly". It's pretty neutral, in my opinion. I own one and yeah, it's embarrassingly large, especially with the external brick if you don't have somewhere else for it to go, and the Kinect may have limited options for where it can go as well due to having a very short cable with no real extension options. It can "fit" but in some setups you can easily get two consoles in the same space that the XB1 and everything needed for it to work would take up. Depending on what you use the XB1 for, it can even take up more space than a Genesis/MD+SegaCD+32x setup. Well...congrats on that. Just saying, not everyone doesn't like how the XB1 looks, and I stand by my opinion that most people who like to say it's ugly or looks like a VCR, don't own one. Anyway, the whole VCR joke is kinda 2013' isn't it? It's time to move on.